Specialist painting contractor S. Lucas has been awarded the shell and core decorations package for the Shard of Glass tower in London. The £1m contract with construction manager Mace will see the specialist paint all basement and core back-of-house areas on the 306 meter-tall tower being built at London Bridge. This includes all corridors, perimeter walls and columns, staircases and lift lobbies as well as base painting for certain public areas. Specialist epoxy floor coatings will be applied to seal and waterproof concrete surfaces, protecting them from corrosive liquids and making them cleanable and dustproof. 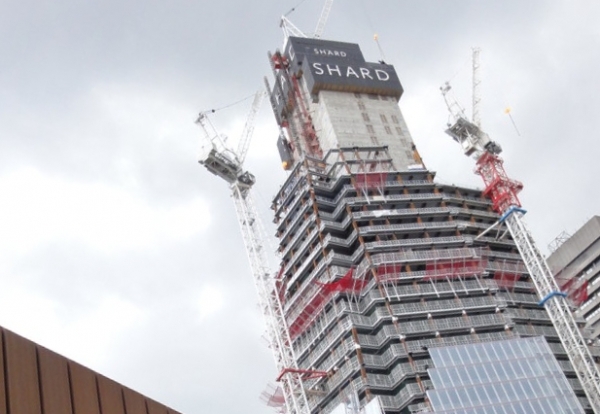 Lucas will make full use of its dedicated logistics centre to sequence supplies on a just in time basis to suit the construction programme of the Shard. The painting firm has built up a formidable track record at London’s signature high rise buildings such as the Willis Building, Ropemaker and Broadgate Tower.